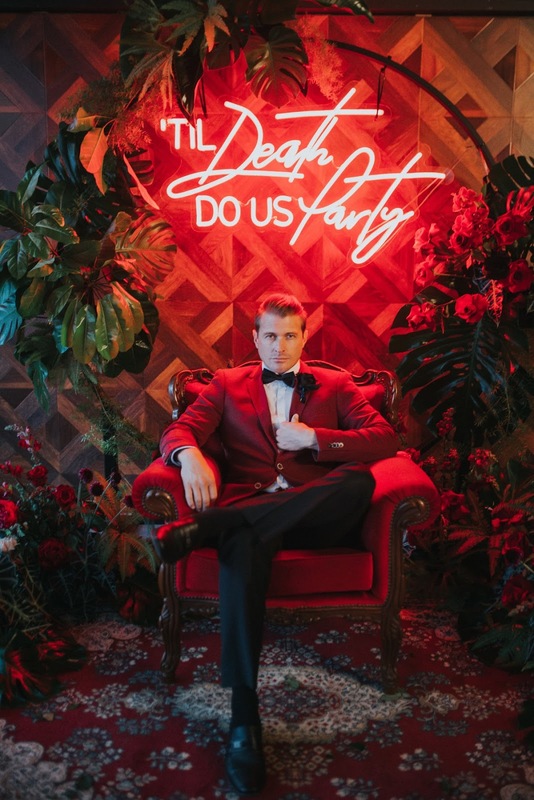 ➳ What can NEON REPUBLIC offer a couple for their Wedding day? 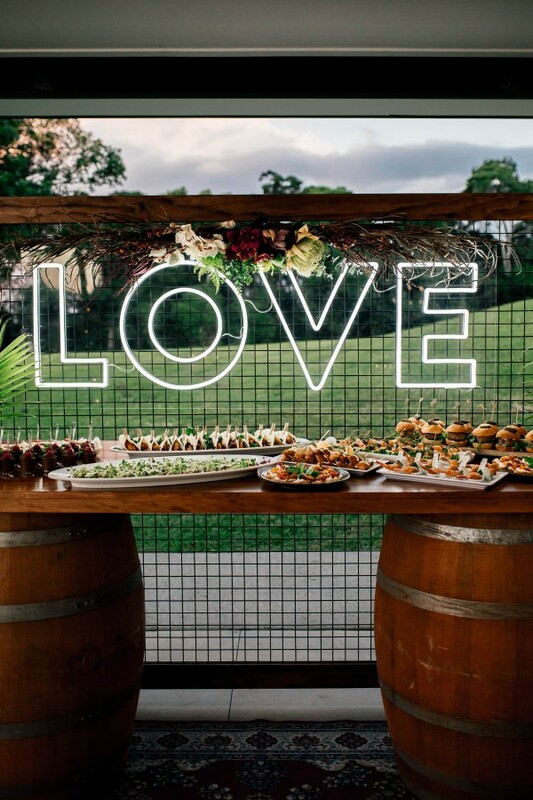 We create custom LED neon signage for our couples that can not only be used as a statement piece for the wedding, but also displayed in their homes following the event. Unlike traditional gas neon, our signs are 12v, safe, silent, extremely lightweight and durable. 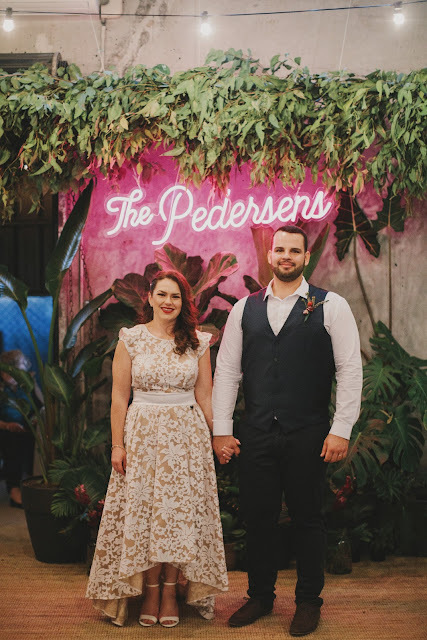 I have a great team of graphic designers, artists and hand-lettering geniuses who work with each couple to create original designs - we don't charge a fee for initial designs & quotes which is always a bonus! For local couples who love the idea of a sign but may not have room in the budget or the wish to keep it forever, we do have signs available to dry hire (our Til Death Do Us Party is always a crowd favourite). 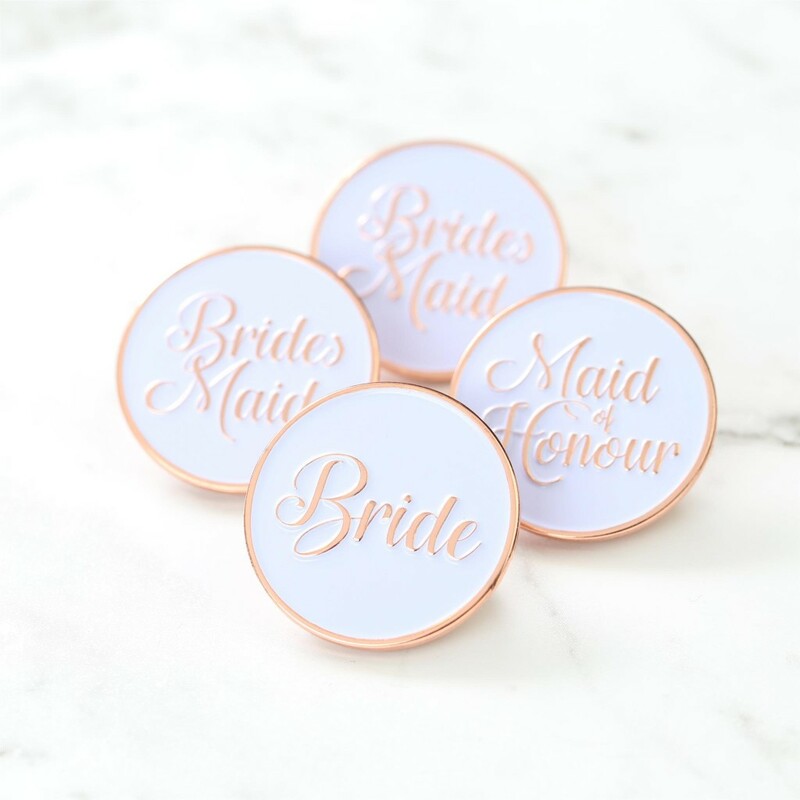 We also have a range of made-to-order designs on our website – including a customisable love heart with initials, perfect for engagement parties or even as a gift for the happy couple. 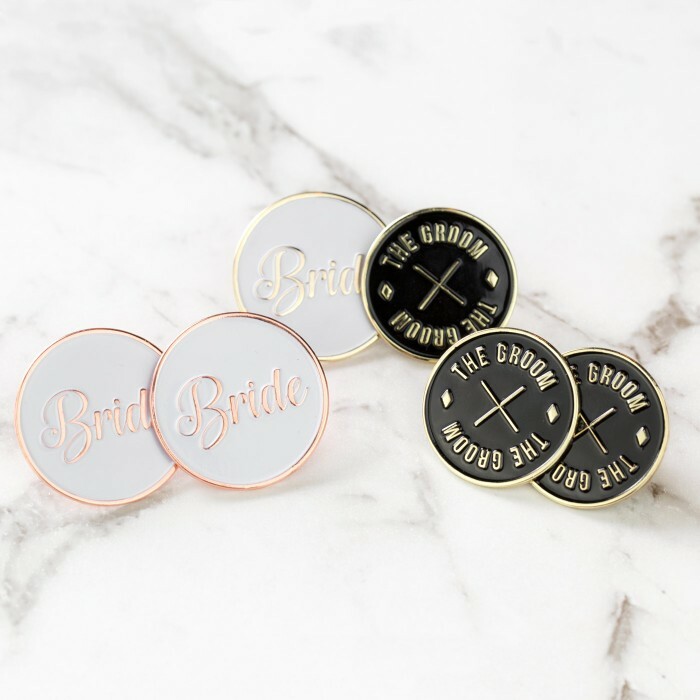 Recently we have also added a new product to our range: custom or ready-to-buy enamel pins, cufflinks & earrings. 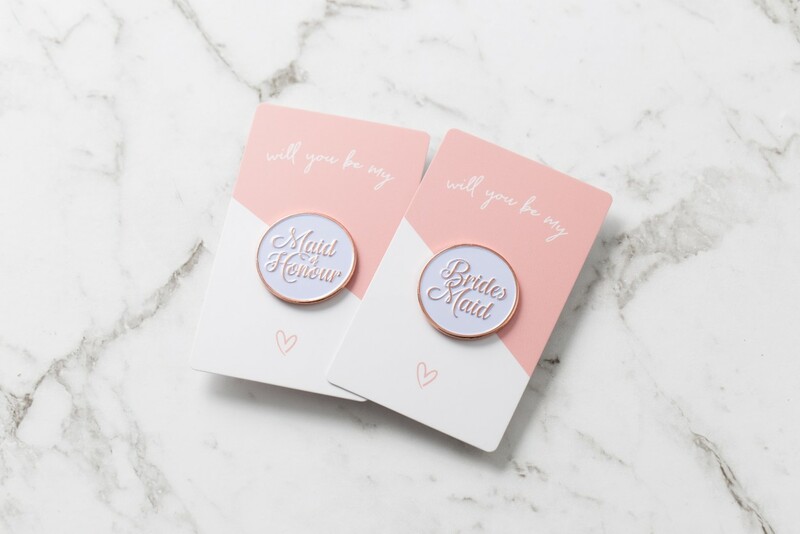 These make awesome favours or pre-wedding event gifts - we even have little ‘Will you be my’ cards to go with the bridal party pins! ➳ Did you always know that you wanted to be a decor designer? This question always makes me laugh because the answer is ‘No way!’. 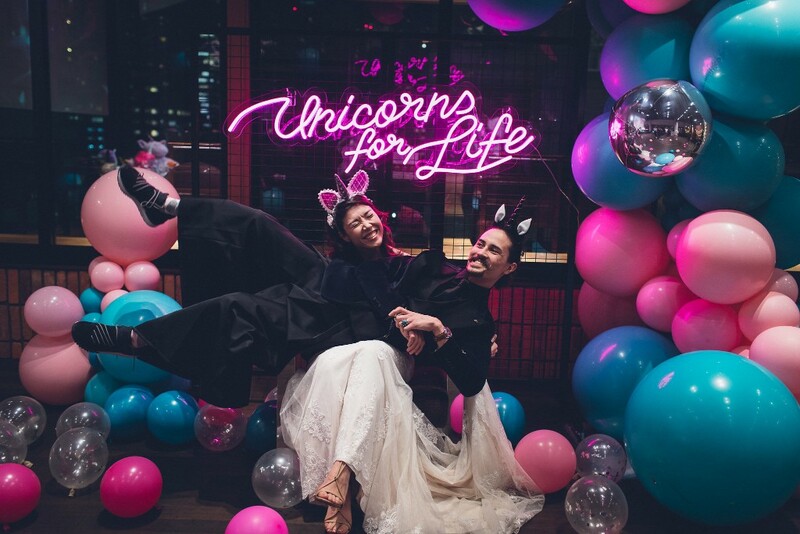 I actually have a Finance background and never thought I would be lucky enough to experience the excitement and happiness of Weddings every single day – it takes the edge off my own post-Wedding blues! 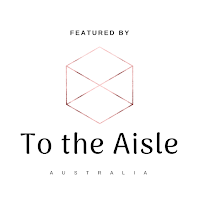 I’ve always loved styling and interior design; we renovated our warehouse/office ourselves and are mid-renovation on our home on the Gold Coast. I love mixing retro and modern, that’s why neons are perfect to me. 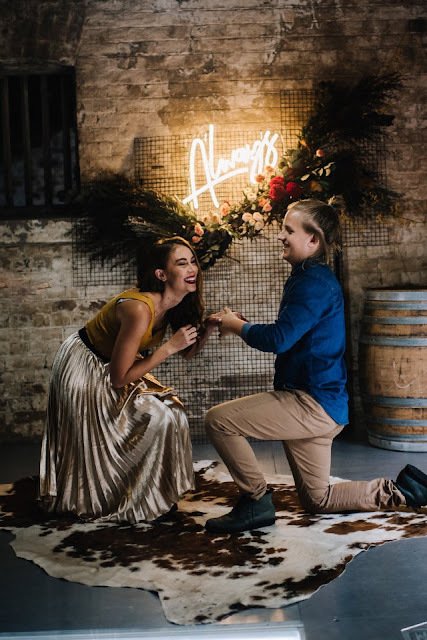 Working so closely with couples blesses me with the opportunity to learn about their concerns when planning a Wedding, and the number one thing that is mentioned is the pressure to incorporate all of the ‘expected’ traditions with their own ideas of the perfect day. I always tell them: It is YOUR day. Those 70 people coming? Yeah, they are totally there to help YOU have the best day ever, not the other way around. So do your own thing, kick up your heels (or your chucks!) and let someone else worry about it for a change. 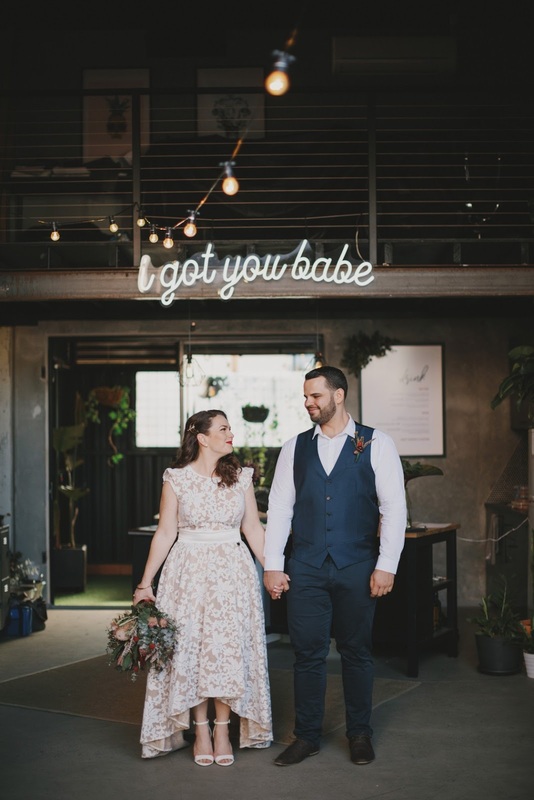 Tim & I decided to have our Wedding in the warehouse – bar tables, food trucks, plants instead of gifts, no first dance, no speeches, a bunch of tequila shots and icecream sandwiches for dessert. Was it traditional? Not at all. Was it the perfect day? Hell yes. 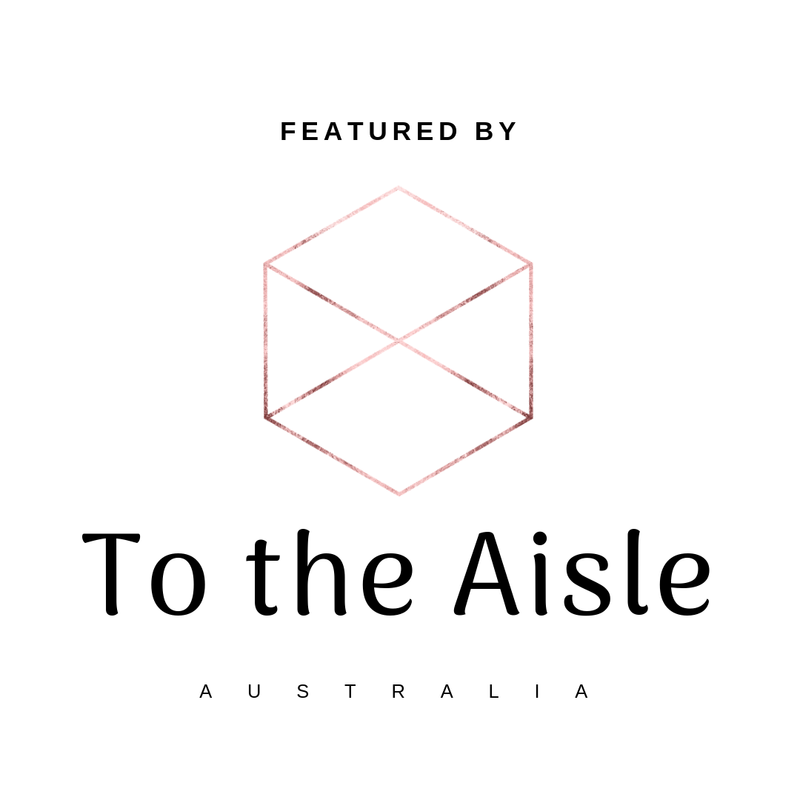 ➳ What advice would you offer to a couple who are just starting out on their search for the perfect Wedding signage? Don’t be afraid to be a little different! Of course we adore the traditional / popular phrases like ‘it was always you’, ‘love’ etc; but my absolute favourite signs are always ones with a story behind them. It could be the lyrics to your Wedding dance, your new surname in your very own handwriting, or even an orange (yes the fruit, true story – one of my top 5 signs of all time!). 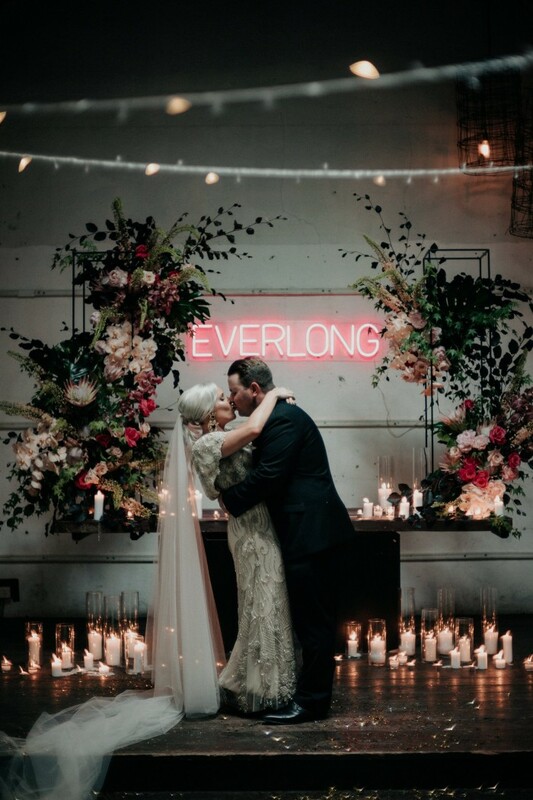 Always consider where you will display the sign after the Wedding! Sure a 6 metre sign is doable and looks amazing, but how will you get it to the venue and where will it fit in your home afterwards? Also a valid point when considering the colour and size of your sign. ➳ Do you have a personal favourite style of Wedding? 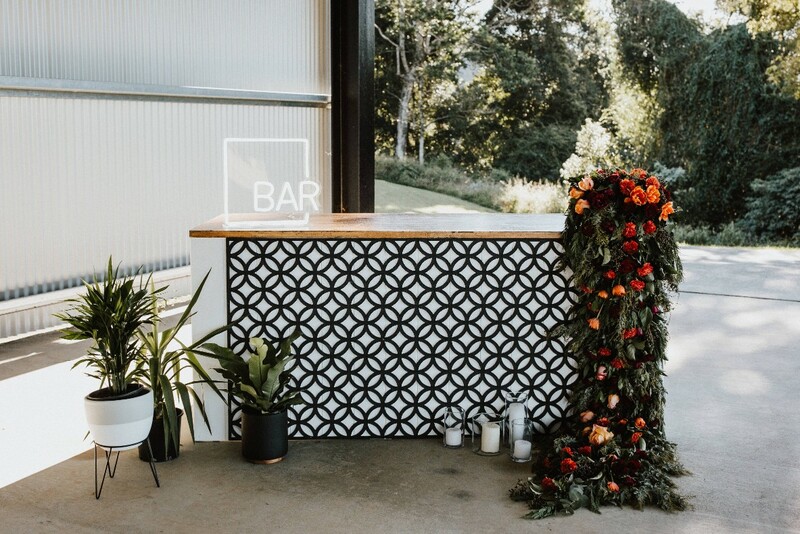 Industrial weddings will always be my favourite. Think concrete floors, rough textures, softened with amazing florals and soft fabrics. Surprisingly our signs have been featured in every type of Wedding. 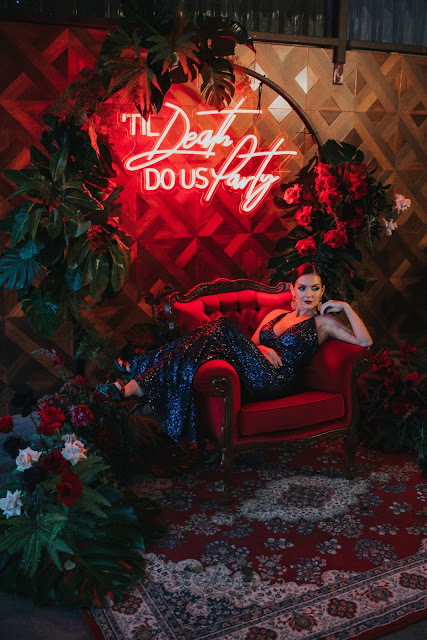 We even had the mind-blowing opportunity recently to team up with Unholy Matrimony who create unique, darker style Weddings for alternate couples. This style is definitely a close second favourite. ➳ Please tell us about the best part about what you do: Our couples = 100% best part of my day! I get to know almost every aspect of their Wedding; from how the proposal went down - to what they plan on wearing (sometimes I am even the first person to see photos). Tim often accuses me of going to Wedding expos purely to talk about Weddings, not actually to show off our signs! What can I say? 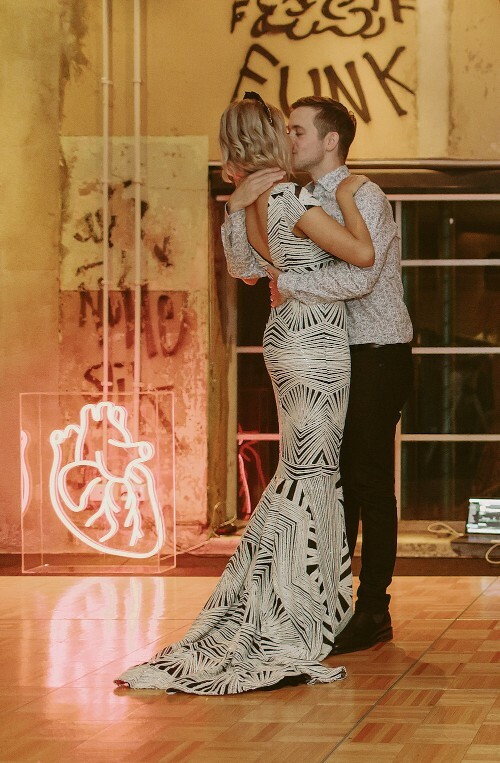 At Neon Republic, we love LOVE. Neon republic have also recently launched their personalised enamel pins - which are awesome!